Warmest Greeting :) Why Pick Me? A spot for us to share the love of Stationery & Lifestyle tips with everyone. 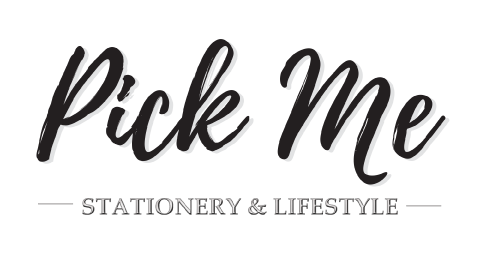 Thank you for visiting us at Pick Me - Stationery & Lifestyle Store. We indulge in the world of Journaling and refining our lifestyles by exploring the wonder of stationery and lifestyle items all over the world. This is where Pick Me comes from. Life is full of surprises and all sorts of discoveries. With lots of creative and lovely items available in the market, we should make use of them and make our life more convenient and beautiful! We believe that an organized lifestyle makes someone a better person and it reflects who we are. We wish to bring inspiration and motivation to the people in refining their lifestyle just by the little things itself. And that&apos;s why you could find various designs of Schedulers, Diaries, Organizer and etc. in store. enable us to keep positive habits, and bring changes to oneself at the same time! because we know the love-struck feeling of sending gifts to our loved ones, or even receiving gifts from them. Let us do the sourcing job and you pick your favourites from us! This is our mission with full of passion. We thank you for dropping by once again and hope you enjoy your stay here! 【Lucky Draw Event】 Happy Merdeka Day!